George Babcock and Stephen Wilcox founded Babcock, Wilcox & Company in 1867 to manufacture and market Wilcox’s patented water-tube boiler. The boiler brought notable success to the company, which then created and installed the first utility boiler in 1881. In 1902, Babcock & Wilcox manufactured the boilers powering New York City’s first subway. The company soon found a market niche, providing boilers for a variety of government-funded projects. In December of 1907, a fleet of 16 U.S. Navy battleships embarked on a trip around the world. The ships came to be known as Teddy Roosevelt’s “Great White Fleet,” and Babcock & Wilcox boilers powered each vessel. The U.S. government worked with Babcock & Wilcox over the next few decades, awarding lucrative contracts while the company improved its boiler designs. As technology advanced, so did Babcock & Wilcox’s line of products. The company manufactured components for the first nuclear submarine, designed and manufactured the first “supercritical pressure” coal-fired broiler and fabricated components for 10 nuclear-powered Nimitz-class aircraft carriers. 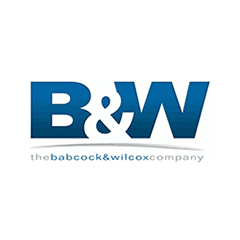 Babcock & Wilcox still operates today, providing technologies and services for the government and industries such as oil and nuclear power generation, clean energy and construction. The company invests millions into research and development for alternative energy sources, and also operates U.S. Department of Energy National Laboratories such as the Los Alamos National Laboratory and the Idaho National Laboratory. Babcock & Wilcox first faced asbestos-related personal injury claims in 1982. While the company did not manufacture asbestos products, many of its boilers were constructed with asbestos materials. Some workers who built or maintained asbestos-containing boilers later developed respiratory illnesses such as lung cancer and mesothelioma. The company settled more than 340,000 asbestos claims by 2000, costing nearly $1.6 billion in awards and court fees. At that point, about 45,000 pending asbestos claims remained unsettled. Facing the prospect of mounting financial debt, the company filed for Chapter 11 bankruptcy in early 2000. Over several decades of asbestos lawsuits against Babcock & Wilcox, courts awarded numerous summary judgments in favor of plaintiffs harmed or killed by the company’s products. In 1996, for example, a former U.S. Navy pipefitter received more than $2.8 million in compensatory damages after developing mesothelioma. The court determined that Babcock & Wilcox and more than 30 other asbestos companies were liable for Cleo Elmore’s disease and eventual death. In another lawsuit filed by a former Navy worker, Martin McPadden was exposed to insulation and various other asbestos products while serving as a fireman striker and machinist’s mate aboard the U.S.S. Willis A. Lee. After determining asbestos exposure to be the cause of McPadden’s death, the court estimated that his family suffered nearly $6 million dollars in damages. Of the defendants in the case, including Babcock & Wilcox, 16 chose tettle with the McPadden estate out of court, awarding nearly $1.6 million in compensation. In a July 2018 case, a U.K. family was awarded nearly $320,000 after their mother died from secondhand asbestos exposure linked to Babcock & Wilcox. Adrienne Sweeney was diagnosed with mesothelioma and died in 2015. Her husband worked at a Babcock & Wilcox boiler-making factory in Renfrew, Scotland, in the 1960s and would bring home asbestos dust on his overalls. The groundbreaking case is believed to be the first of its kind in Scotland. Exposed to Asbestos at Babcock and Wilcox? Because Babcock & Wilcox manufactured a multitude of products intended to withstand or contain extreme temperatures, early designs often included asbestos, a fireproof material. Workers who built, installed or repaired boilers and refractory products for Babcock & Wilcox were likely exposed to asbestos while on the job. The risk for asbestos exposure, however, was not limited to Babcock & Wilcox employees. The company’s line of refractory products, boilers and other systems were common among Navy ships, power plants and nuclear facilities, to name a few. This adds dozens of occupations to the list of potentially exposed workers. This represents only a sample of the occupations that faced direct asbestos exposure risks. Various other occupations may have also been exposed indirectly by working in or around an asbestos-heavy work environment. The dangers of asbestos use were not fully known until the late 1960s or early 1970s. In 1973, the Environmental Protection Agency (EPA) published the National Emission Standards for Hazardous Air Pollutants (NESHAP), listing asbestos among other airborne pollutants. Shortly after, Babcock & Wilcox began to phase asbestos out of its products. Although Babcock & Wilcox never manufactured an asbestos-containing product, it did incorporate asbestos materials into power generation equipment, utility boilers, water-tube marine boilers and other types of high-temperature refractory equipment. In 2006, as part of Babcock & Wilcox’s bankruptcy reorganization, the company established a trust fund to handle asbestos-related claims. The trust managers developed a website containing information about asbestos exposure and claims against Babcock & Wilcox. The site includes a list of nearly 2,000 Babcock & Wilcox-related occupations that faced risks for asbestos exposure. The trust allows two types of claims to be filed – expedited and individual review. With expedited review, there is a fixed payment regardless of the claimant’s level of exposure or health condition, but the process is faster. Individual reviews take more time and payments will vary. In general, expedited claims are reviewed first and individual claims must wait. The company reviews both types of claims on an annual basis, but individual claims are more likely to be adjusted and there is a greater risk for reductions in settlement amounts. New York Times 24 Feb. 2000: C16(N); C16(L). Academic OneFile. Web. 28 Mar. 2011.